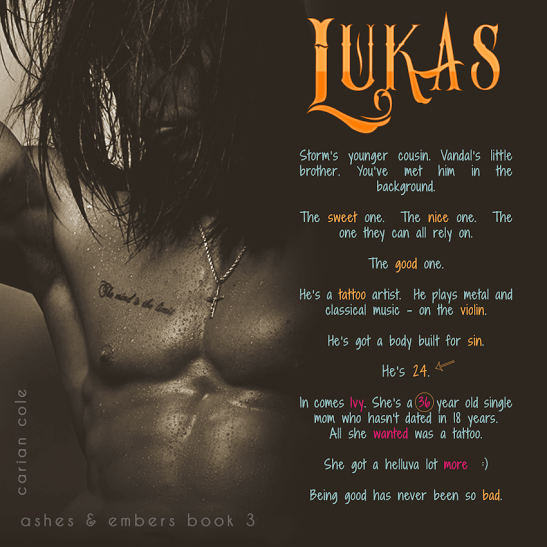 The Ashes and Embers series quickly became one of my favorites. I discovered it as part of a blog tour. Yes, these do work. 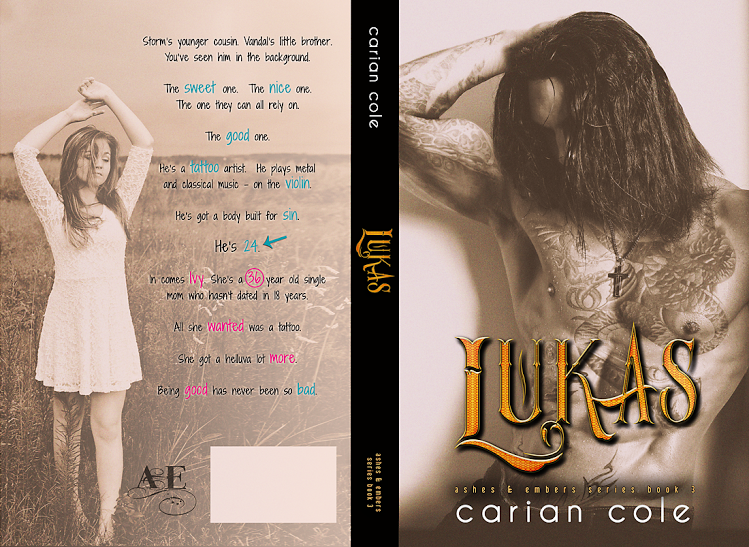 Carian writes about a family of smokin’ hot rockers. We’ve already met Storm and Vandal (and if you haven’t, you should) , and in June, we’ll be meeting Lukas. Check out his cover and blurb below! You’ve met him in the background. The one they can all rely on. He’s a tattoo artist. He plays metal and classical music – on the violin. He’s got a body built for sin. In comes Ivy. She’s a 36 year old single mom who hasn’t dated in 18 years. All she wanted was a tattoo. Being good has never been so bad. sometimes lose, the loves of their lives. our multitude of furry pets and spend most of my time writing, reading, and vacuuming.